Cinnamon may help treat Type 2 Diabetes by lowering blood sugar levels and increasing the amount of insulin production in the body. 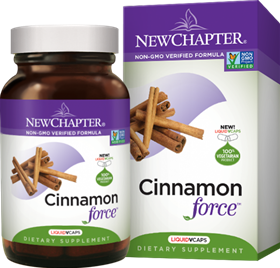 Recent studies indicate that Cinnamon may also help support healthy serum lipid levels. In addition, Cinnamon contains potent antioxidants that help to support cardiovascular function. Cinnamon possesses a unique power amongst botanicals by assisting in the body’s conversion of sugar (glucose) into energy.